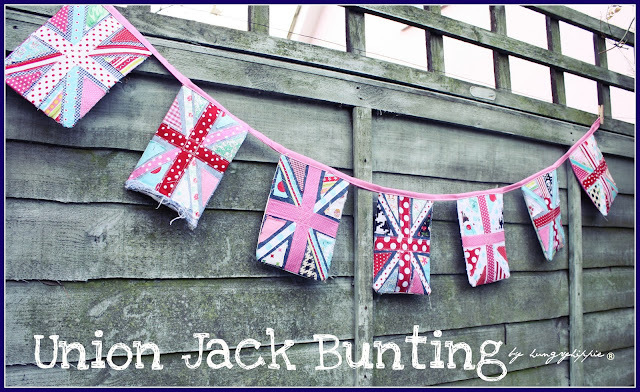 I made this bunting by hand today. The Diamond Jubilee is this summer. Historical note-the only other Diamond Jubilee held was Queen Victoria's. SNAP! A HIT as ALWAYS!!! you know i LOVE me some Union Jack...and this is Just gorgeous!